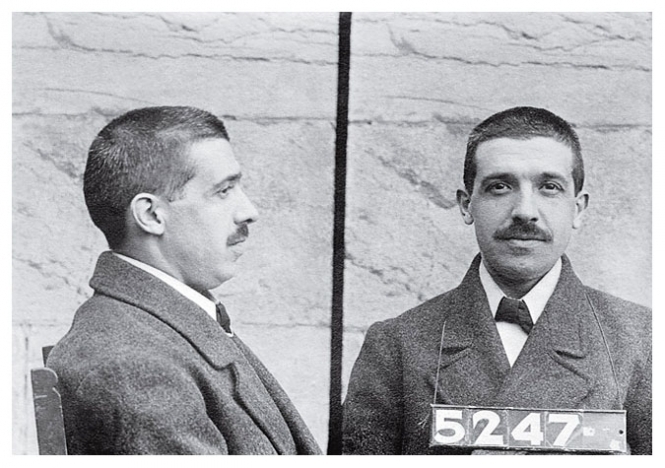 Nearly 90 years before financier Bernard Madoff confessed to a $50 billion fraud, Charles Ponzi swindled millions of dollars from duped investors. The Italian immigrant, whose name is synonymous with the pyramid scheme, pleaded guilty to mail fraud in 1920 and served three-and-a-half years in federal prison. Ponzi died in 1949 at age 66.